Of course, New Year’s Eve is not just for party animals. It’s also a special time for families and friends to get together. To balance the twin needs of getting drivers out onto the roads and allowing them to spend coveted time with family and friends, we extended our New Year’s Eve incentives to have a longer eligibility period in some countries. 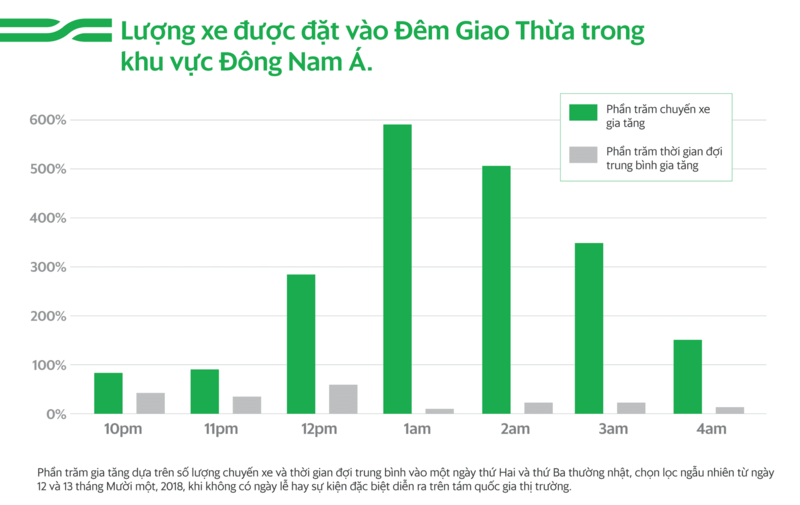 The most popular New Year’s Eve celebration spot in Hanoi was Hàng Đẫy Stadium, which was the top drop-off and pick-up point of the night as revellers flocked there for the Heineken Countdown Party. Held at a stadium for the first time, this annual New Year party was headlined by Shane Filan, the frontman of boyband Westlife. 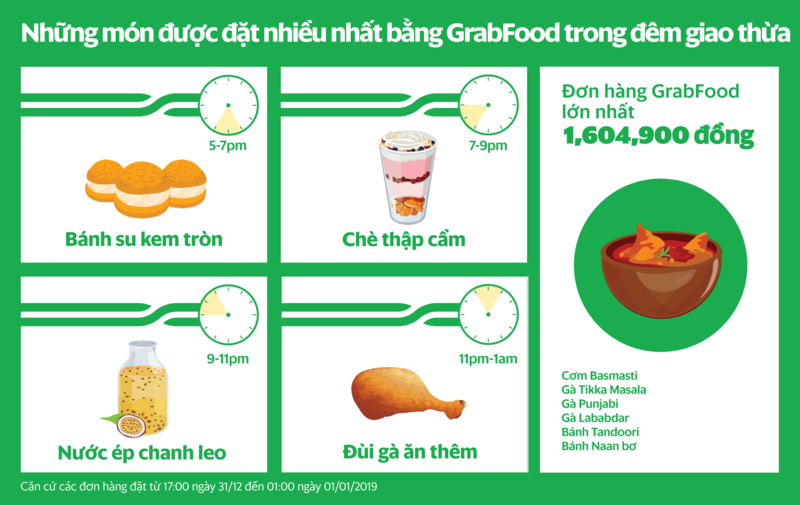 GrabFood orders saw the biggest jump in Hanoi, where there were more than double the number of orders compared to a regular Monday. Popular items ordered in included banh mi (Vietnamese baguette sandwich), Bia Tiger (Tiger Beer) and bo bia (spring rolls). We also know that someone had a large Indian meal because they ordered 1.6 million dong worth of food!